Finance for $400 per month at 0% APR for 72 months with $3,223 down payment. Payment expires on 04/30/19. Estimated Finance payment based upon 0% APR for 72 months, with a down payment of $3,223. Excludes title, taxes, registration, and license fees. Some customers will not qualify. See your authorized dealer for complete details on this and other offers. Residency restrictions may apply. Lease for $303/month for 39 months with $3,223 due at signing including $0 Security Deposit and 10,000 miles per year. Payment expires on 04/30/19. Estimated Lease payment based on 39 months and $3,223 due at lease signing. Cash due at signing includes $3,921 capitalization cost reduction, which includes $650 acquisition fee, plus a required security deposit of $0, and first month's lease payment of $303. Excludes title, taxes, registration, and license fees. Total monthly payments equal $15,717. Mileage charge of $0.25 per mile over 10,000 miles. Not all consumers will qualify. Residency restrictions may apply. 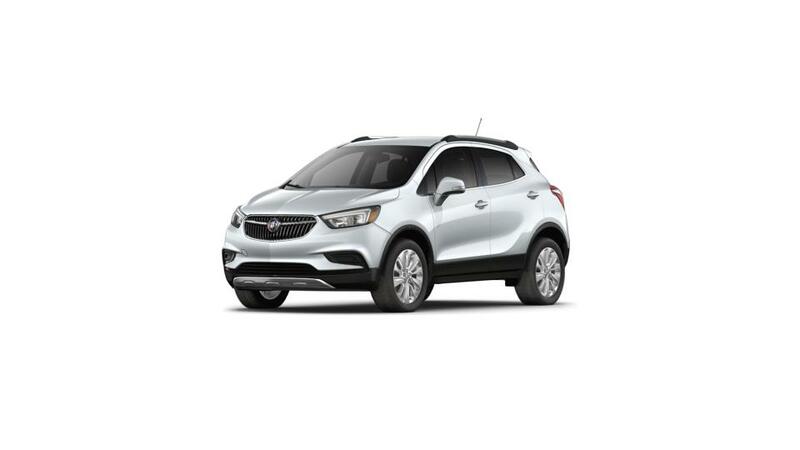 The new Buick Encore is a crossover SUV that is reliable, versatile, and quite fun to drive. Tech enthusiasts can enjoy the Encore’s built-in 4G Wi-Fi hotspot and voice command functionality with the Buick IntelliLink system. It has a frame with a modern, luxury-inspired design and an interior designed for noise and vibration reduction, offering you a comfortable and quiet drive. It has space for up to five passengers and folding rear seats which offer plenty of storage. Available all-wheel drive and state-of-the-art safety features such as Blind Zone Alert and Lane Departure Warning will help you stay safe and help to prevent collisions on the road. Visit Willis Chevrolet Buick and explore this vehicle. You can’t go wrong with the new Buick Encore. Dover customers can contact us at (302) 389-7003 or online to schedule a test drive.